In a recent opinion, the Court of Appeals for the Third Circuit reversed the lower courts’ rulings by holding that a debtor “receives” goods for purposes of section 503(b)(9) of the Bankruptcy Code when the debtor obtains physical possession of those goods. In re World Imports, Ltd., 862 F. 3d 338 (3d. Cir. 2017). Read the full opinion here. In In re World Imports, the Third Circuit examined section 503(b)(9) of the Bankruptcy Code, together with section 546(c) of the Bankruptcy Code and correlating non-bankruptcy law. Section 503(b)(9) of the Bankruptcy Code provides vendors with an administrative expense priority claim for the value of goods received by a debtor during the 20-day period prior to the petition date. See 11 U.S.C. § 503(b)(9). As such, vendor claims that do not satisfy the conditions of section 503(b)(9) are usually regarded as general unsecured claims, receiving only a pro rata share of the debtor’s unencumbered assets. Section 546(c) of the Bankruptcy Code provides that a seller of goods, with certain exceptions, may reclaim goods from debtor, if received while insolvent and within 45-days of the bankruptcy filing (1). In this case, debtor bought goods from two vendors who shipped goods to debtor more than 20 days prior to the petition date. Notably, certain goods were shipped directly to debtor’s customers (“Drop-Shipped”), while other goods were shipped to debtor. All of the goods at issue were received by debtor or its customers within the 20-day period prior to the petition date. Once debtor filed for bankruptcy, the vendors claimed administrative expense priority under section 503(b)(9), alleging the goods were received upon delivery to the debtor or customer. In contrast, debtor argued it received the goods when title passed to debtor upon shipment, which was prior to the 20-day time period. The word “received” is not defined in the Bankruptcy Code. In ruling in favor of debtor, the Bankruptcy Court held that the law governing the sale, in this case the Convention on Contracts for the International Sale of Goods, should determine the meaning of the term “received.” As a result, the Court found debtor constructively received the goods when they were shipped, which was more than 20-days prior to the petition date, except for the Drop-Shipped goods, which were never received by debtor. Thus, the Bankruptcy Court held the vendors were not entitled to administrative expense priority under section 503(b)(9). The District Court affirmed the ruling, and the vendors appealed to the Third Circuit. In reversing the lower court rulings, the Third Circuit explained the Uniform Commercial Code, which characterizes receipt of goods as taking physical possession of them, is the appropriate source of law to determine the meaning of “received.” See UCC § 2-103. The Court also clarified that the meaning of such a term should not be determined on a case-by-case basis, but should be consistent regardless of the terms of the underlying transaction. Thus, the Court concluded that debtor physically received the goods that were not Drop Shipped within 20-days of the petition date, which entitled the vendors to administrative expense priority pursuant to section 503(b)(9). 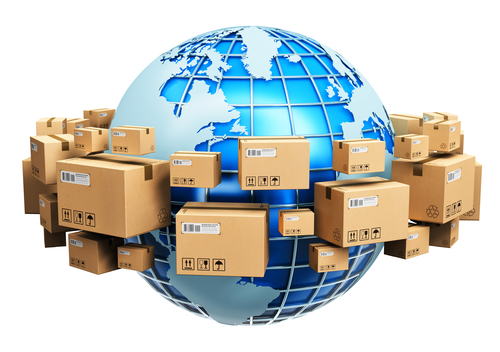 The Third Circuit did not address the Bankruptcy Court’s ruling that the Drop-Shipped goods were not received by the debtor pursuant to section 503(b)(9), as it was not appealed. Significantly, In re World Imports was the first circuit court decision on this issue. It remains to be seen as to whether courts outside of the Third Circuit will agree with the World Imports analysis and holding. Weltman & Moskowitz will continue to follow and report on this issue and keep our clients and colleagues informed of the developing impact to vendors and debtors. 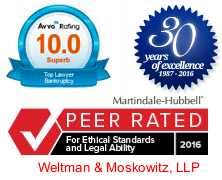 Please feel free to call Weltman & Moskowitz with any questions or challenges you, your colleagues, or clients, may have. (1) The seller must also provide proper notice of reclamation.